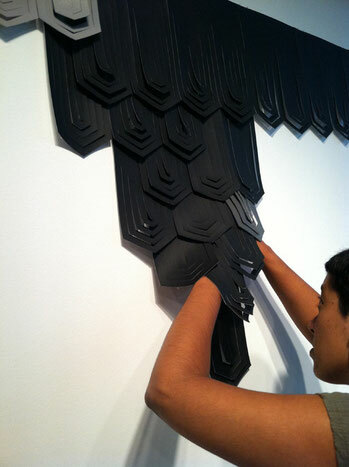 Surabhi Ghosh creates complex compositions through the accumulation of simple decorative motifs, revealing intersections among abstraction, minimalism, and ornamentation. 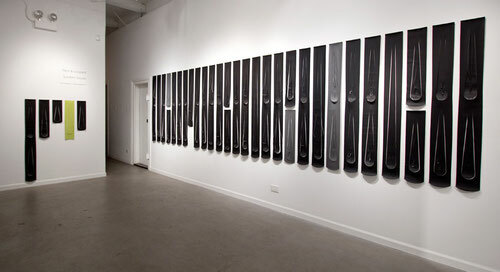 At Manifold, in an exhibition titled Tiled & Looped, Ghosh is showing work from two ongoing series. 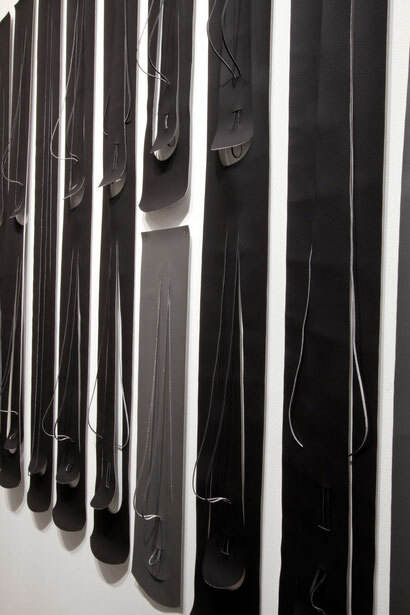 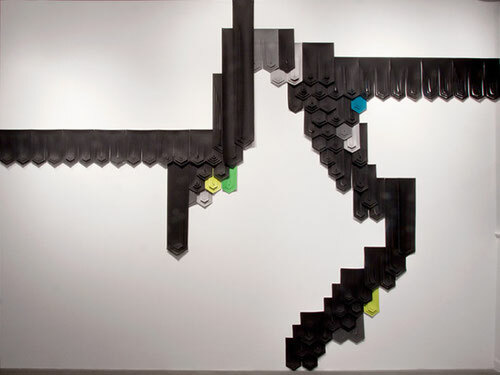 In these series, she uses hand-cutting techniques to negate the function of a utilitarian material (upholstery vinyl), while expanding her speculative understanding of the relationships between pattern, repetition, and decoration.